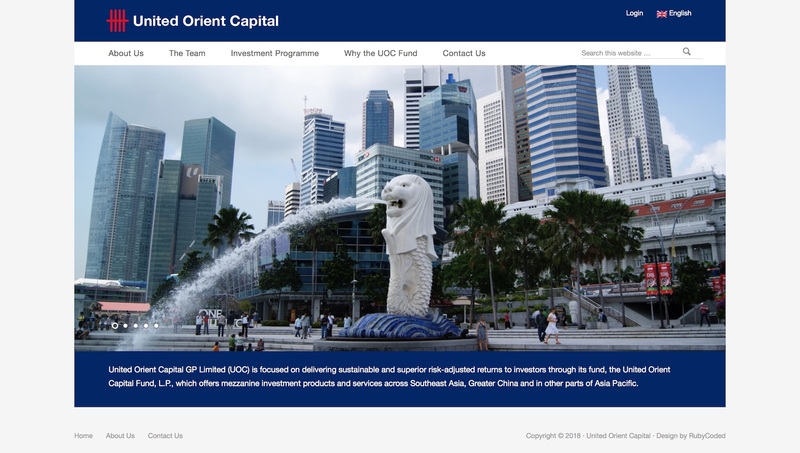 United Orient Capital, a UOB-ORIX investment fund. 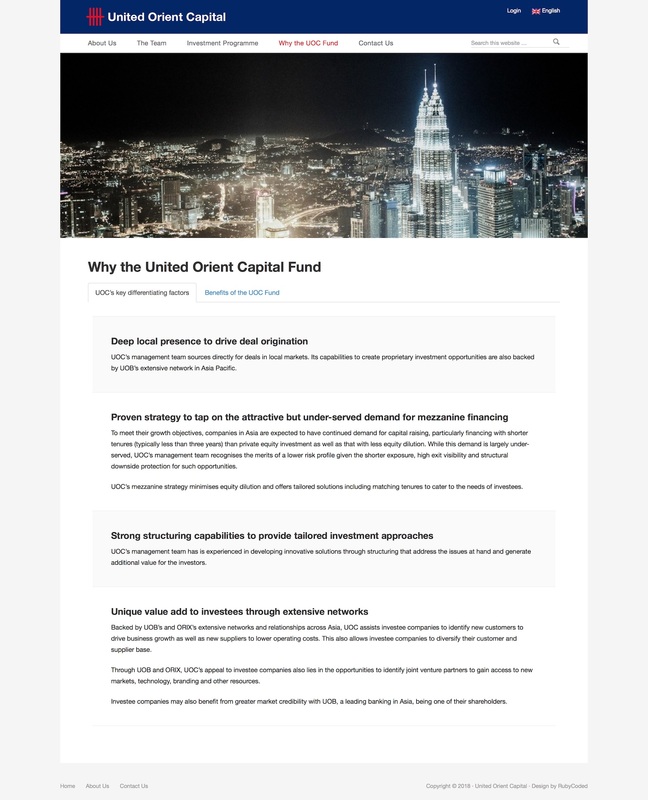 United Orient Capital Fund LP is an investment fund sponsored by the leading Asian bank United Overseas Bank Limited and ORIX Corporation of Japan Designed. The client approached us to create a corporate website for UOC that conforms to the UOB brand style guide and features a language switcher to serve content in English and Japanese.